If you’re a regular reader of this blog, you probably have a fairly decent party presentation. I routinely tell you how to increase the results from your home parties and there are a ton of easy to implement and simple tools you can use during your live presentations to make sure you’re getting bookings, sales, and sponsoring leads at every home party you do. But what about after the party? Follow-up tends to be the one area where most of us drop the ball and consequently lose some great booking, sales, and recruiting opportunities. I can be as guilty of it as you are, so I thought I’d give you a little nudge and reminder, as well as a few simple ideas for making sure you follow up with every paying customer after every home party you do. I know getting on the phone can be a challenge and it’s often uncomfortable to make a call to ask someone to do something (book a home party, learn more about your opportunity, etc.). Follow up calls that are specifically for customers from your home parties, however, are actually easy to make because they’re purely customer service driven. All you’re doing is following up with those who purchased once they have their products, checking in with them to make sure they’re satisfied, and answering any questions they may have. The beautiful thing about this is that it often leads to a conversation about an add-on purchase, booking a party themselves (to earn all of those wish-list items they didn’t get the first time around), or learning more about your opportunity, and that conversation flows seamlessly out of the reason you called – to support them. If you’re using a wish list during your home parties, it can become a great tool for you to use to follow up with customers who didn’t purchase something they put on their wish list. Is it on sale next month? Is it a host gift or special right now? Connect with that customer and let them know how easy it would be to purchase it at a discount or earn it for free by hosting a party. USE THS TIP: You might consider keeping an index card for popular items and writing names and phone numbers of interested customers on those cards after each party. That way you’ll have an instant list of people to call when that item comes up on sale or on the hostess gift list. In the past few years I’ve noticed that, if I’ve been trying to reach someone via email or phone and haven’t heard back from them, if I send them a Facebook message, they respond almost instantly (and at the very least, I can see if and when they’ve read my message). 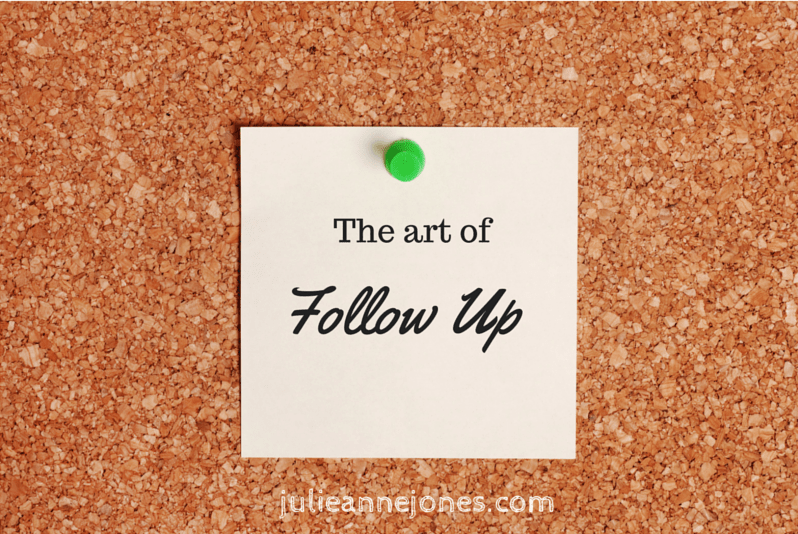 Using social media to follow up is a great tool (especially if you’re doing virtual parties). I still think live conversations work best, but there’s nothing wrong with reaching people where they “hang out” initially and asking them when they may be available to chat on the phone. Texting is also a great alternative to the traditional phone call and many people actually prefer to have “immediate” conversations via text. Bottom line, use whatever means you can to reach out and follow up. Whether you’re making phone calls, reaching out with a Facebook message, or sending a text, it’s important that you schedule a reminder so you’ll actually follow up. Go to your calendar on the day you submit your host’s order and flip ahead to the date you’re fairly certain she can expect her order to be delivered. Then move out another week and create a reminder to follow up with every customer who ordered. If you don’t schedule it, it’s much easier to just forget to do it (or choose not to). If it’s on your schedule, you’ll do it more routinely. Trust me, this works. Finally, make sure you take the time to shoot a hand written thank you note out to your host the week after her party. This acknowledgement solidifies your relationship and makes it easier for you to follow up in six months or so to book another party with her. You’ll also want to make sure you call her around the time her order is scheduled to arrive to make sure she received it and answer any questions she might have about getting the items distributed to her guests, etc. Remember, your host is the catalyst for your success and if you build a supportive relationship with her she may just become a repeat host, a really great customer, or even the next superstar representative on your team, so make sure she always feels valued and taken care of. In my opinion, follow up in your direct sales business is the difference between a failing or just so-so business and a wildly successful one. Give it the time and attention it deserves in your business and watch what happens as a result. It’s hard to follow up with non-existent customers, and for customers you need bookings. Want a little help with that? Grab your complimentary copy of my “Book Yourself Solid In The Next 30 Days” roadmap. It’s yours for free when you subscribe to my mailing list. Already a member of the list? My system won’t add you twice, so go ahead and grab the roadmap anyhow. Click here to grab your roadmap now!